The Cross101 12LBS Adjustable Camouflage Weighted Vest is a great way to add resistance to your workout. This is a great vest to start your cross training, strength training, and anything else you will need a weight vest for. This vest includes adjustable shoulder straps so the vest can adjust to fit any body tightly and securely when in use. The vest is 12" in length from your collarbone down. This vest is one size fits all. 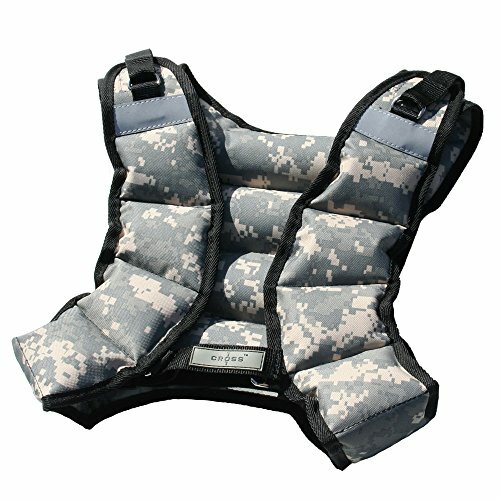 It comes with a one year manufactures warranty that covers the vest. Grey reflectors located on front, back, and side of vest for safety. Adjustable shoulder straps and body strap for snug fit. One size fits Most. Medium to smaller builds. Manufacture warranty included. One piece design with belt attached onto the vest for easy setup.